The 3rd National Working Group Meeting On The Administration Of Criminal Justice, Act 2015. I would begin by first expressing my sincere pleasure, on behalf of CLEEN Foundation to welcome you all to this distinguished “August” gathering. At the outset, I would like to appreciate my colleagues for their concerted efforts in ensuring the success of this meeting and for managing to assemble an impressive blend of Stakeholders, Policymakers, Researchers, Civil Society Organizations and Experts in the field of justice. Undeniably, we all share a common interest for effective justice delivery and do possess an important stake in the implementation of the Administration of the Criminal Justice Act, 2015. For most concerned citizens, this meeting presents a good opportunity to join forces with those who have demonstrated a passion for effective Justice delivery in Nigeria for most of their careers. For others, it is the opportunity to learn more about the administration of the criminal Justice system in Nigeria. In every case, it is important for all of us to gather together in such a friendly atmosphere to discuss the critical problems we are faced with in the implementation of the Administration of criminal Justice Act in Nigeria and to offer possible solutions. I am convinced that the intellectual exchanges and experience sharing between participants in the course of the meeting will not only beam the spot light on progresses made in the implementation of the Act but the need to breach gaps identified. The meeting is convened under a project centered on “Promoting Accountability and Transparency in the Administration of Criminal Justice System in Nigeria”. 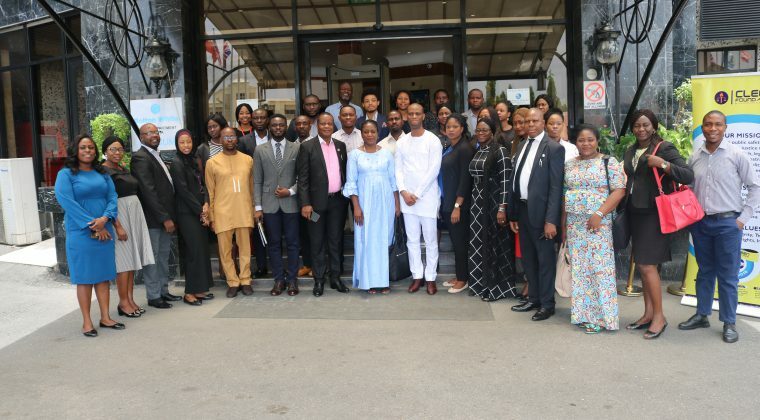 The project is targeted at the digitization of court proceedings/judgments in Nigeria with a view to promoting accountability and transparency in the fight against corruption. The project principally seeks to monitor cases of corruption in relation to ACJA 2015 through a web based platform- Uwazi doc which is functional, accessible and within the reach of the public. I would like to take this opportunity to sincerely thank MacArthur Foundation for funding this project. The Administration of Criminal Justice Act, (ACJA) 2015 was enacted as an instrument, which merged the provisions of the two previous principal legislations, namely: Criminal Procedure Act (CPA) and the Criminal Procedure Code (CPC). The Act was not designed to do away with the already existing criminal laws in its entirety, but was designed to preserve and strengthen the existing legal framework by introducing innovative provisions that will give a face lift to the efficiency of the justice system. The new federal legislation has brought fundamental changes to the criminal justice system, as it provides in section 1 of the ACJA, for an administration of criminal justice system which promotes fast tracking of justice delivery, efficient management of criminal justice institutions, protection of citizens as well as protection of the rights and interest of suspects, defendants and victims. It goes without saying that in the long chain of implementers or criminal justice actors, Lawyers make up an important and indispensable part of the complicated business of the administration of criminal justice as almost everyone in the process were first and foremost lawyers, whether they be Judges, Magistrates or prosecutors. The defence counsel is also an integral part of the core. The point in this is that, if we must have an efficient criminal justice system as the ACJA and ACJLs attempt to entrench within our polity, the critical mass of men/women on the chain all along the line- from top to bottom must be men who are manifestly willing to birth the dream of the innovative ACJA and ACJLs. It is gratifying to note that 19 States have passed their own ACJLs, some of which are impressively innovative. The objective of the Act may never be attained unless and until all relevant stakeholders in the criminal justice system are aligned to work collaboratively to ensure that the Act is not just implemented but fully complied with by all judicial actors concerned. I wish us all very fruitful and result oriented deliberations. Thank you for the time and God bless you all.